State Trials. 4th ed. 1776-1781. 11 volumes bound in 6. 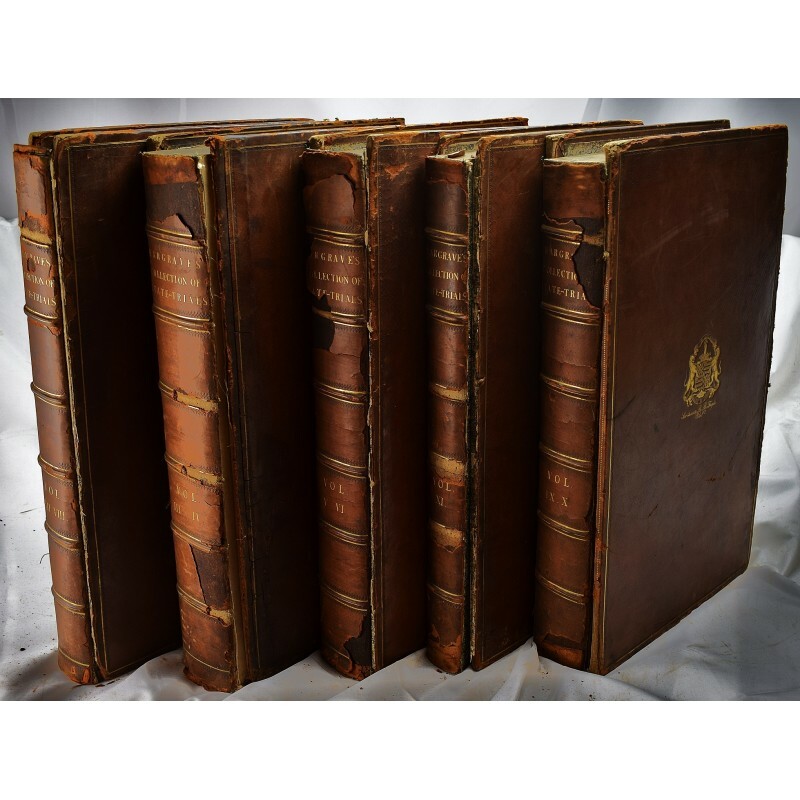 Thick folios, 44 cm. Bound in contemporary diced calf. All covers detached. Leather is dry, and worn. 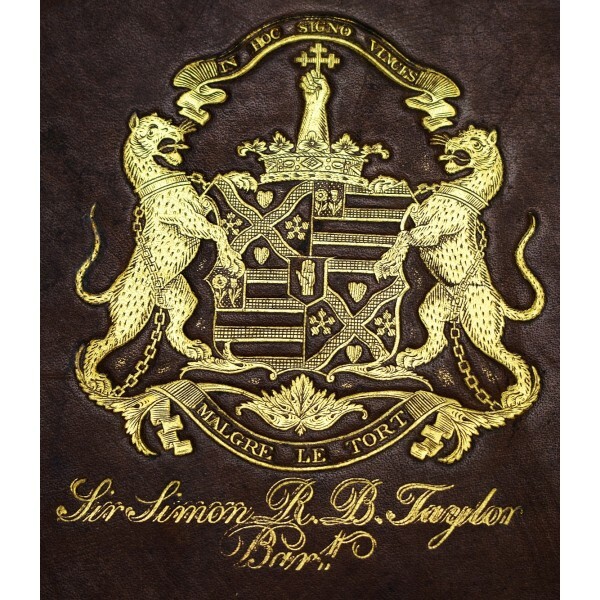 Gold armorial seal of Sir Simon R.B. Taylor Bart. 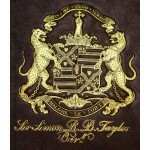 Taylor's bookplate inside front cover. Marbled end pages. Lowndes 2710. 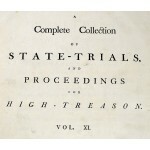 Hargrave's trials contains many of the most famous treason cases in British history. 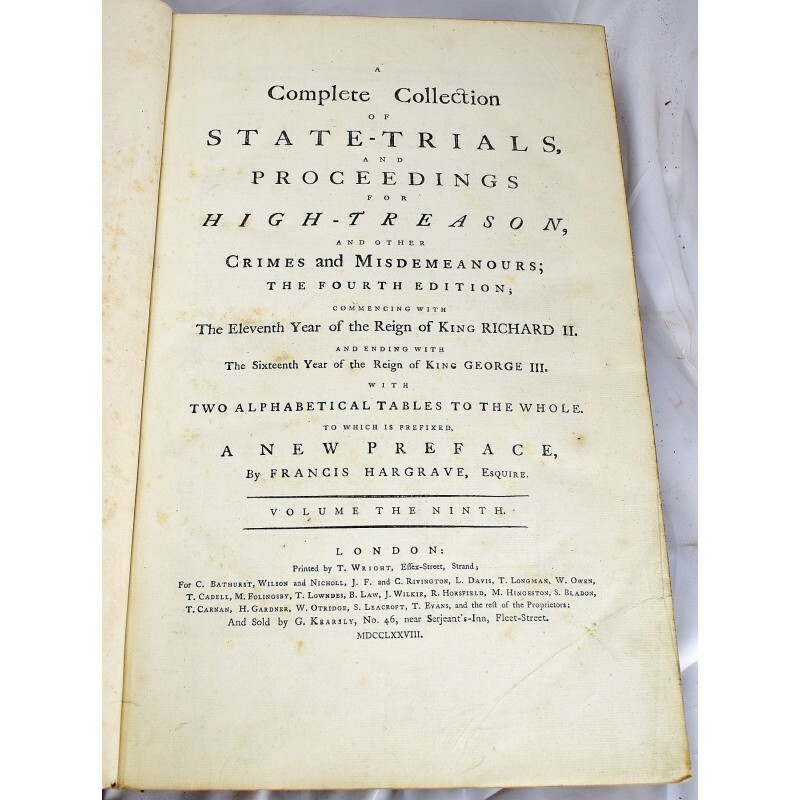 Notably: the trials of William Thorp for heresy, Mary Queen of Scots, Sir Walter Raleigh, the notable pirate, Captain William Kidd, etc. 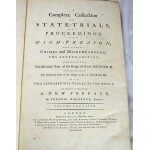 Detailed contents: V. 1. 1388-1648. v. 2. 1648-1679. v. 3. 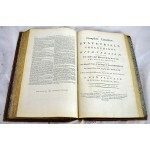 1679-1684. v. 4. 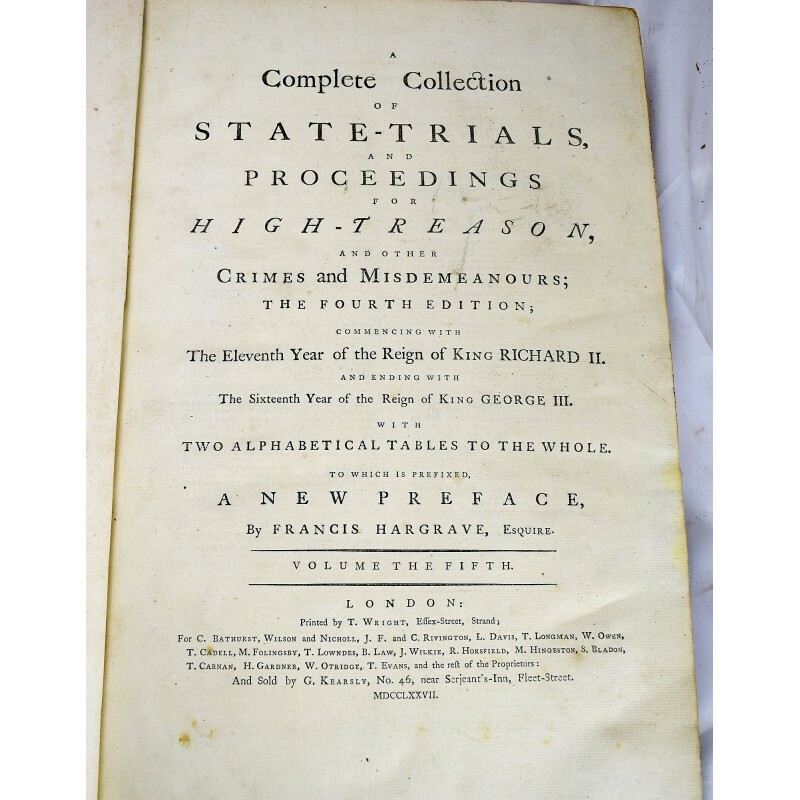 1685-1696. v. 5 1969-1709. v. 6. 1715-1741. v. 7. 1549-1688. v.8 1689-1723/4. v.9. 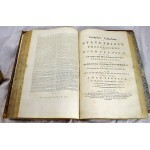 1712-13 1748-9. v. 10. 1752-1765. v. 11. 1494-5 - 1777. Appendix. A detailed provenance of the last 250 years: The Taylor family owned large sugar plantations in Jamaica (1770-1835). 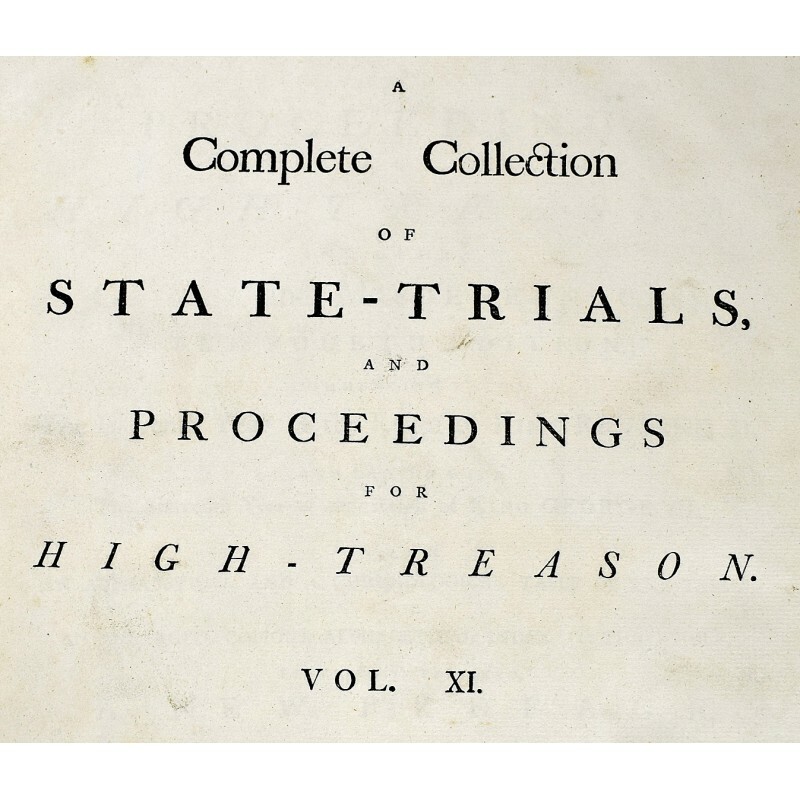 Sir Simon Taylor, 1740-1813, was a prominent Jamaican Sugar Planter, Chief Justice of the Jamaican Court of Appeals, Lt. Gov. of the Militia, member of the assembly, and richest man in Jamaica upon his death. 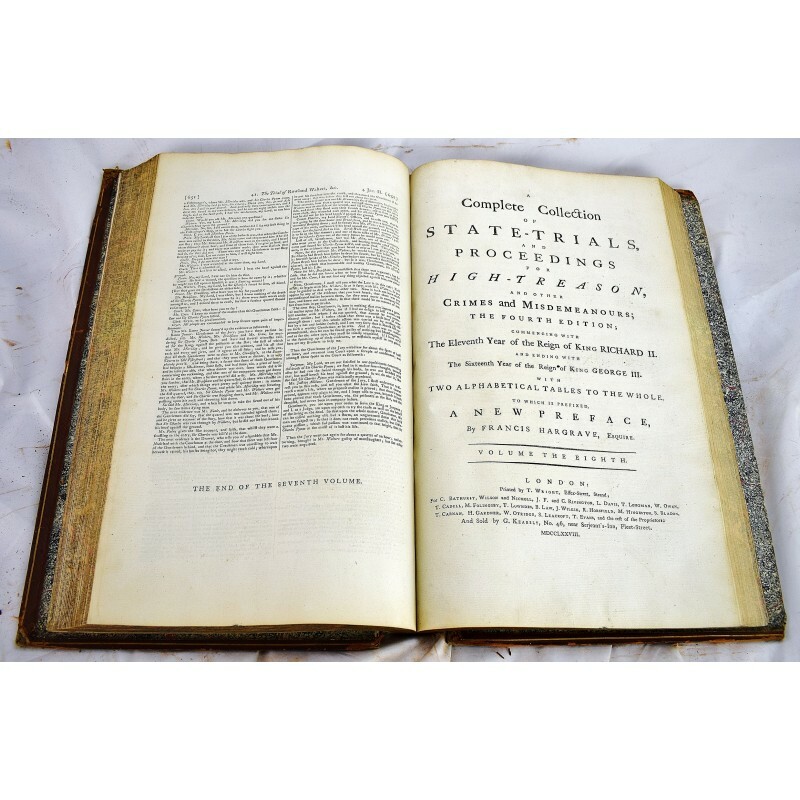 After emancipation in 1823 the West Indian estates of the Taylors' faced financial ruin. 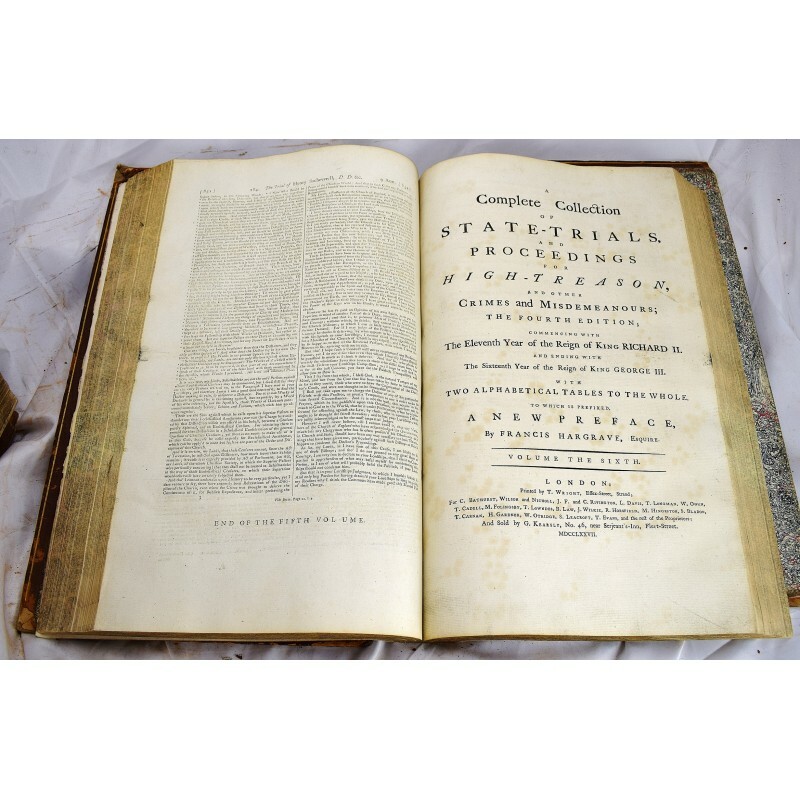 In 1823, George Watson Taylor (1771-1841) of Cavendish Sq. Mdx. 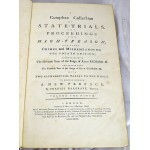 (Member of Parliament), was forced to sell the estate's books to stave off bankruptcy. 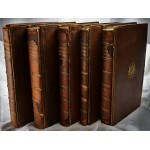 These books were then acquired by Newbattle Abbey College. I aquired them in Scotland in 2018 and brought them to North America.